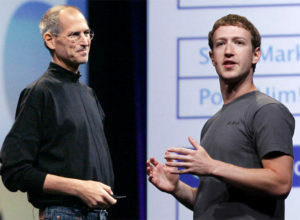 Apple CEO Steve Jobs once advised Facebook CEO Mark Zuckerberg to visit a temple in India when Facebook was going through an odd phase. Mark revealed it during the meeting with Narendra Modi in Silicon Valley. The temple where Mark Zuckerberg was advised to visit was a small quaint place which is 9 km from Bhowali and 17 km from Nainital. You guessed it right. We are talking about Kainchai Dham ashram which was founded in 1962 by a Hanuman Devotee, Neem Karoli Baba. It has derived its name from a local Kumaoni word ‘Kainchi’ which stands for ‘two sharp hairpin bends’. As he had taken his Samadhi, Neem Karoli Baba’s followers run this temple now. Neem Karoli Baba (or Baba Lakshman Das) was a spiritual guru who spent his last days at Kainchi and took his Samadhi in 1973. The Baba, who lived in various ashrams across the country, left his home in 1958 when his youngest daughter was 11 years old. 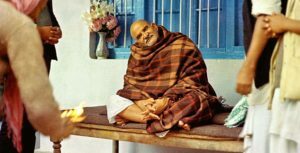 The train conductor decided to halt the train and force Neem Karoli Baba off of the train at the village of Neeb Karori when he came to know the Sadhu was without a ticket. The train did not start again even after several attempts were made. The Sadhu agreed to board the train back only if the railway authority could promise to build a station at Neeb Karori village. He boarded the train, and it gets started after the officials agreed. He became famous as a reincarnation of Lord Hanuman, established more than 100 temples and served millions of people. Maharajji believed all religions lead us to God. Thousands of westerners visited India for Maharajji’s darshan, after an American Baba, Baba Ram Dass, authored a book telling of Neem Karoli Baba in the late 60’s. Zuckerberg stated: “He (Steve Jobs) told me that in order to reconnect with what I believed in the mission of the company, I should visit this temple that he had gone to in India, early on in his evolution of thinking about what he wanted Apple and his vision of the future to be, the month-long trip reinforced for me the importance of what we were doing.” Now, India is a country with more than 130 million Facebook users. Steve Jobs visited Kainchi Dham Ashram in the 70s and got influenced by the Indian spiritualism. He is believed to have reached the vision to create Apple at Kainchi Dham. Famous Hollywood actress Julia Roberts is another celebrity who drawn to Hinduism because of Shri Neem Karoli Baba Maharajji. If you have not visited it yet, you should plan and visit this ashram on Nainital-Almora Road. You can have the opportunity to enjoy special Bhandara if you visit the temple in June when more than one lakh people are being served.